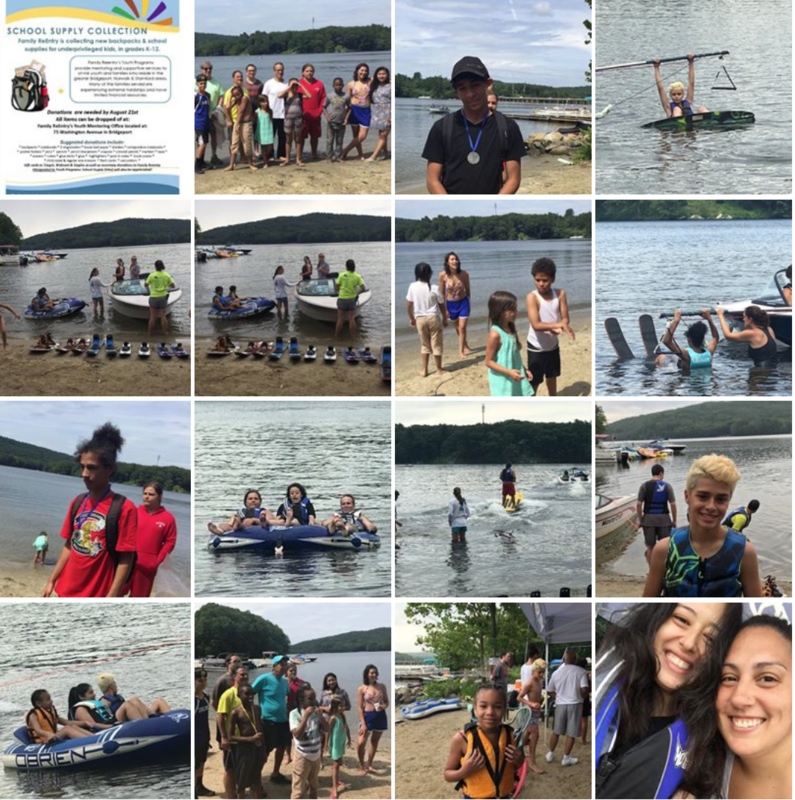 “FRE” Youth Programs enjoyed a great day participating in water activities at Lake Zoar on July 6th! Our program has partnered with LOF (Leaps of Faith) Adaptive Skiers, a non-profit located in Newtown CT. This annual field trip benefits youth served in our Champions & J-Connect Mentoring Programs who would otherwise not have opportunities to access water sports of tubing, skiing and water boarding. Over the years, these trips have provided opportunities for youth to enjoy nature, build confidence and physical skills, as well as the chance to have positive interactions with peers and volunteer adults. Our trip on July 6th was an active day with great camaraderie and adventure!